It really doesn't get any prettier than a beach wedding, between the warm sunshine, fresh salty air and the crashing waves. 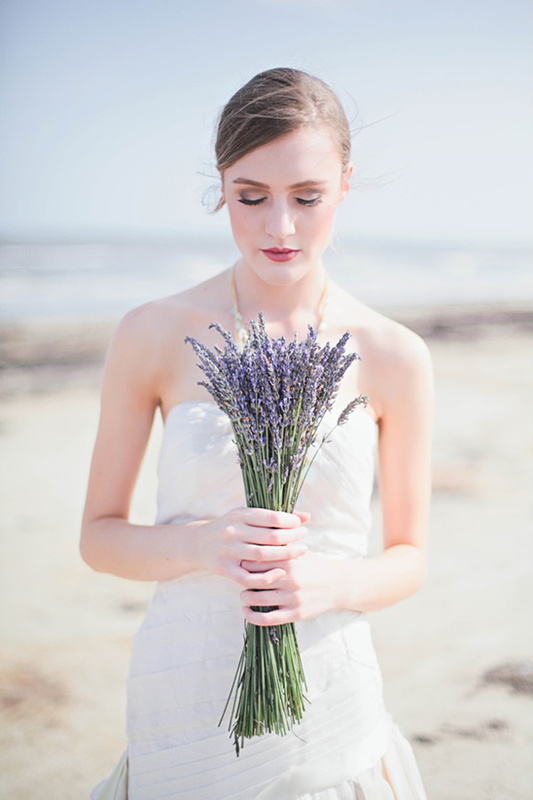 These very reasons may be why you choose nature's backyard for your picturesque wedding ceremony are also key factors that will greatly effect your beach wedding makeup. 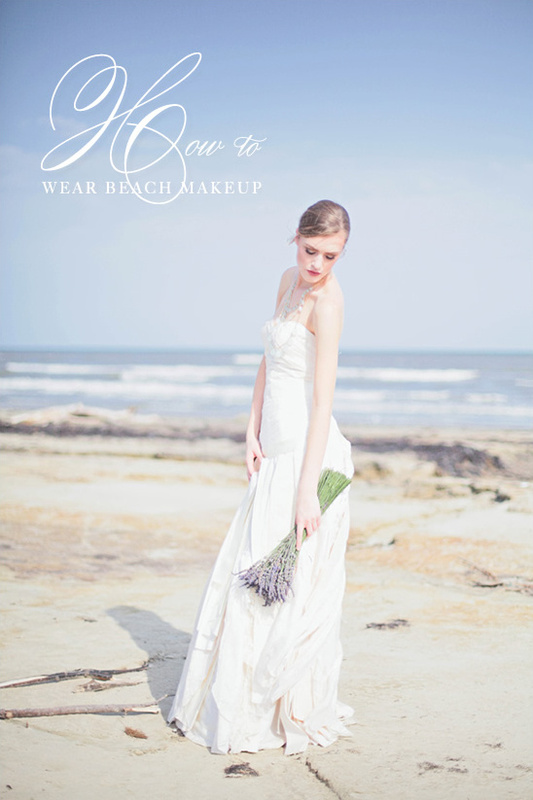 To ensure that you look just as stunning as your surroundings, Briggitte of Bloom Makeup Artistry is here to teach us how to wear beach makeup for your wedding. 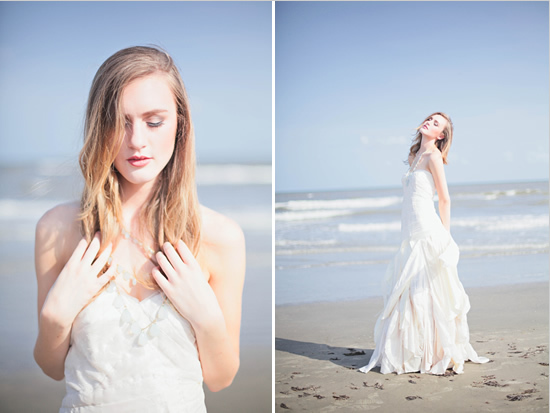 By following these simple techniques that were used at this very beach bridal session, you are guaranteed to look flawless. 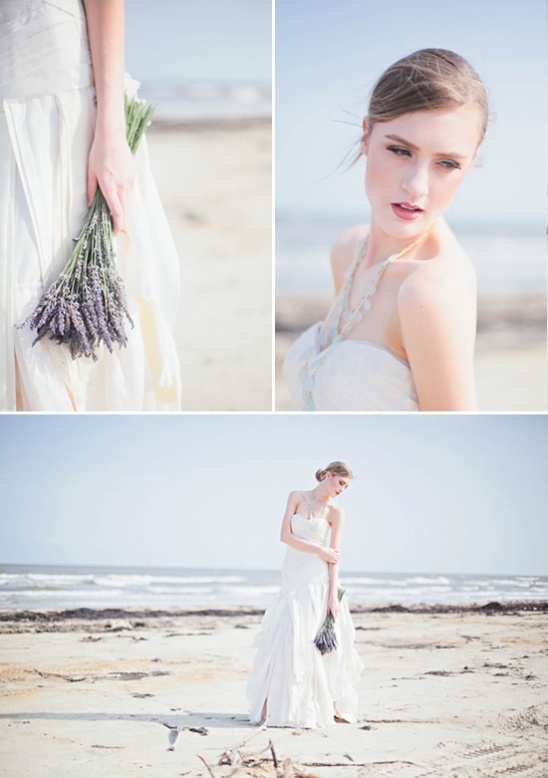 See more of this Texas beach bridal session in the full gallery captured by Morgan Lamkin. From Briggitte of Bloom Makeup Artistry 1. Exfoliate face and lips, not only will this make your skin smooth for foundation but it will also help the longevity of your lip color! Try Earth Theraputics Loofa Exfoliation Pads. 2. Don’t apply gloss (or use very little) until after the wedding ceremony and formal photos. This will keep your lips matte and dry which helps the lip color last longer throughout the day. It can also help avoid the nasty highlights that can appear on shinny lips in photos. 3. For the sake of the photography and having your makeup look beautiful in pictures, a bit extra makeup is necessary. If you are hesitant to use false lashes and eyeliner remember that makeup artists have a large selection of natural looking false lashes that when used are barely detectable and soft eyeliner will only accentuate your eyes in photos. My favorite false lashes for a full and natural look are the Ardell Demi Wispies. 4. For afternoon and evening weddings use a shimmery highlighter I like Smashbox Softlights in Shimme, but if you are tying the knot in daylight I would opt for highlighting with a shade lighter, matte powder. The sunshine is brighter at the beach, so take that into consideration. 5. Blush and bronzer should be matte. Save the shimmer for the highlight of the cheekbone and the browbone. I like Smashbox highlighter, but you can also use a light gold and bronze for dark and olive skin tones. Remember, extra blush and bronzer should look natural but it is important for "looking alive" when flashes, etc make you look pale and washed out. 6. Salty air causes excessive water loss from the skin. To avoid dry skin be sure that days before your wedding you drink lots of water so that you minimize dehydration. In order to have smooth skin the day of the wedding tone and moisturize your skin, let the moisturizer soak in for at least twenty minutes. If there is any excess left gently dab off with a dry cotton pad. 7. For a final touch set makeup and avoid shine with a translucent loose powder. If you are prone to an oily t-zone keep a small touch up bag with extra powder and things like lipstick that will need to be re-applied. 8. I always advise my clients to get facials, waxing and threading treatments two or more days before the wedding. By doing this you avoid redness, irritation and the possibility of makeup not sticking to the skin due extreme smoothness. 9. When choosing a foundation make sure to choose one that best suites your skin type. If you have oil prone skin try a matte cream foundation, if you have normal to dry skin use a liquid foundation to achieve a more hydrated, glow. 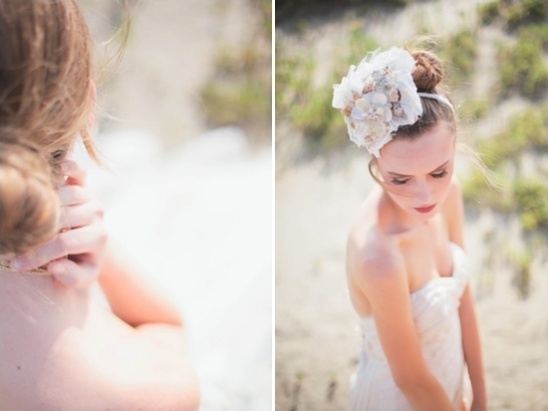 A special thanks to Bloom Makeup Artistry for providing these essential tips for beautiful beach wedding look. 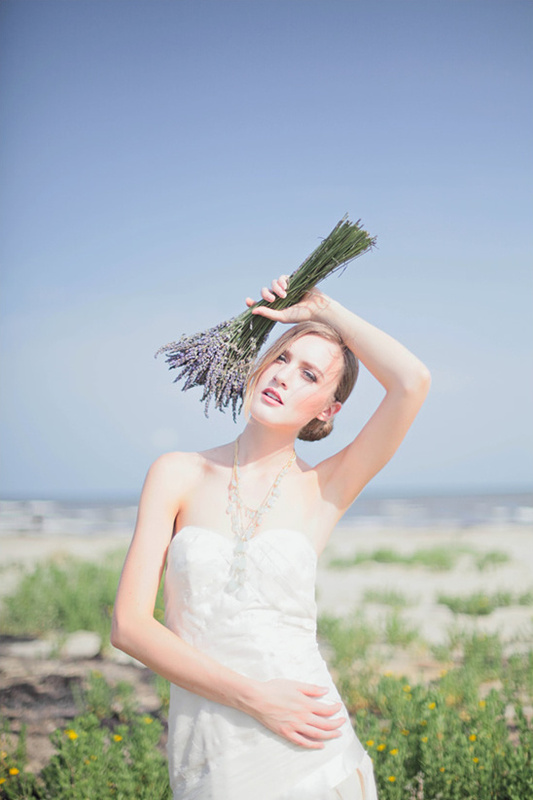 Briggitte is an amazing makeup and hair stylist that is part of our Hand Picked collection. To learn more about her and her work click here.